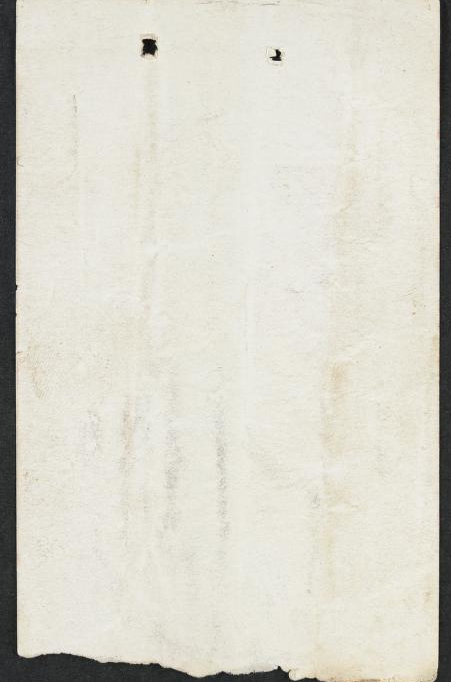 Last notes of Robert O'Hara Burke, ms Manuscript, 3 pages. (Item is combined with the Last Pencillings of Burke). 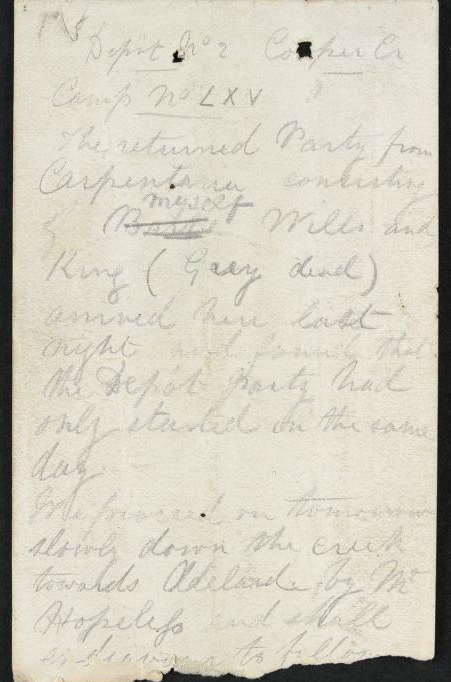 The returned party from Carpentaria consisting of Burke myself Wills and King (Grey dead) arrived here last night and found that the depot party had only started on the same day. ...Gregory's track but we are very weak. 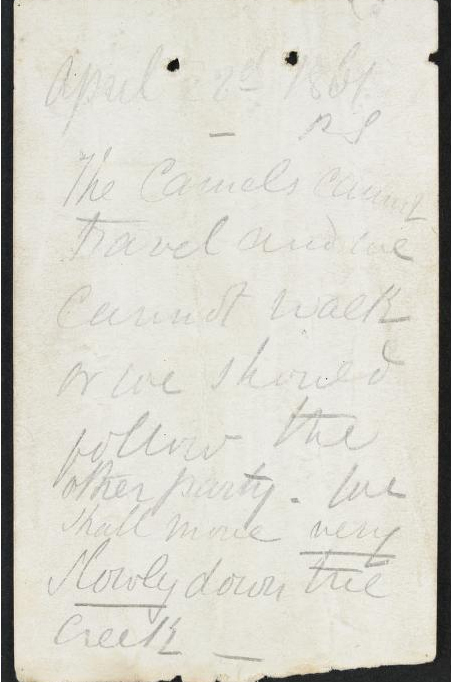 The two camels are done up and we shall not be able to travel faster than four or five miles a day. Grey died on the road from exhaustion and fatigue. We have discovered a practicable route to Carpentaria the chief portion of which lies on the 140th meridian of east longitude. ...a considerable portion is rangy but it is well watered and richly grassed. 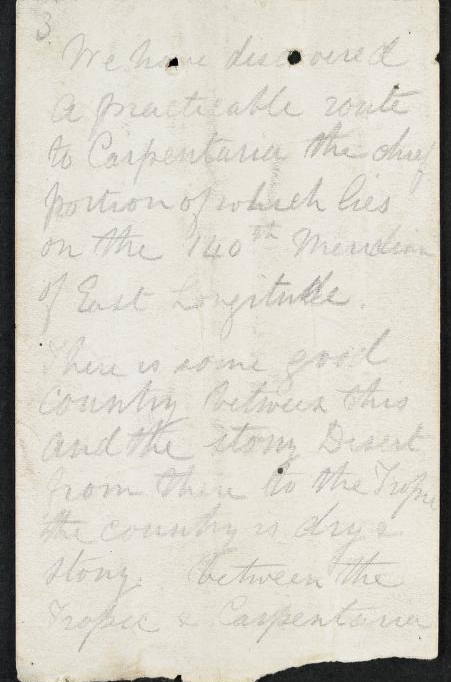 We reached the shores of Carpentaria on the 11th of Feby 1861.
greatly disappointed at finding the party here gone. The camels cannot travel and we cannot walk or we should follow the other party. 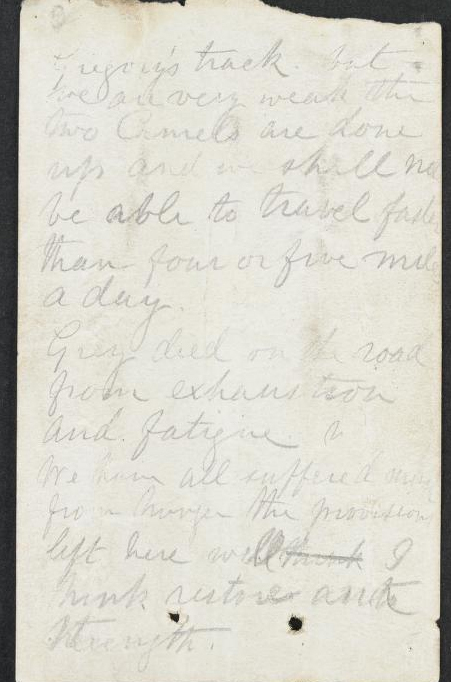 Burke wrote this note on three pages detached from a notebook on 22 April 1861 and buried it in the wooden camel-box cache at the Dig Tree. 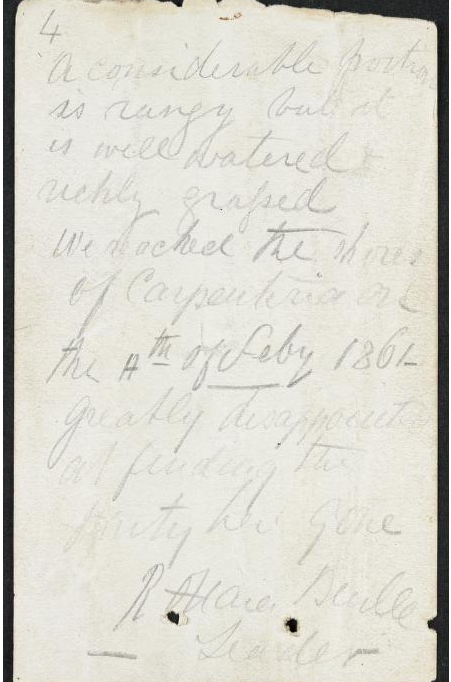 Alfred Howitt dug up and recovered the note on 28 September 1861 and returned it to Melbourne.